As my business partner once shared, the two best days of business life is when you buy (or start) a business and when you sell it! I was reminded of this recently when a business I work with called me about a potential buyout of another business. It got me to think: “So how do you get the deal done?” For some it is the people, others it is the market opportunities and others the financial performance and ultimately it is about the will of the two parties to do a deal. How often do you hear about the companies doing an investigation of each others technology as part of the negotiation of the value of the deal? In the post-merger/acquisition, unfortunately operational challenges unravel the perceived value of the merger. In fact, according to an IBM research paper, only 23% of mergers recover their costs and 50% actually destroy shareholder value! The damage is often done by either maintaining separate technology systems or integrating them! It can often be a case of ‘damned if you do and damned if you don’t’!! Given the problem IT can be to post-merge operations it is surprising how often it is overlooked or done incorrectly in any due diligence process. I’ve also found that many IT Due Diligence Checklists simply audit the IT Stuff in the selling organisation. As such they just become a number on the asset list. The checklists fail to rate the technology in a view of how well the business is doing with that technology. Nor does it marry that seller and buyers technology in a business system to see if the merger will fix gaps or under-performing functions in the buyers technology mix. To address these issues I developed a system to evaluate technology in terms of the value it delivers to the business. It allows each organisation to quickly determine where the businesses’s technology help (or hinder) their business in their ‘stand-alone’ state and whether the benefits will be amplified and the difficulties minimised or not in the merger. I call this system ‘profit stacks’. Why? Because it breaks each business down into its building blocks. It links the technology used to facilitate each function. And it allows the seller and potential buyer to rate the value the technology gives to each function. Then each building block can be assembled into stacks to determine the overall value to the business. Hence the profit stacks are unearthed and a discussion on valuation enhanced. 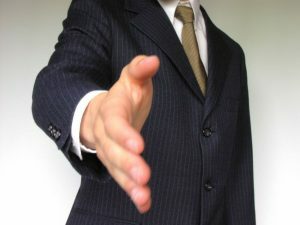 So, please, share how you get the deal done and whether technology is part of your consideration while doing the deal. Has anyone actually walked away from a deal because of the cost of technology integration was too much? If you in the process of an ‘M&A’ activity, speak to me about using the profit stack method in your valuation discussions.